Energy efficient cooling from low to high density racks and zones. Managing airflow for rows, racks and hot spots. 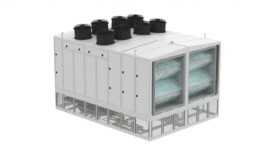 High efficiency air side economizers for large data centers.